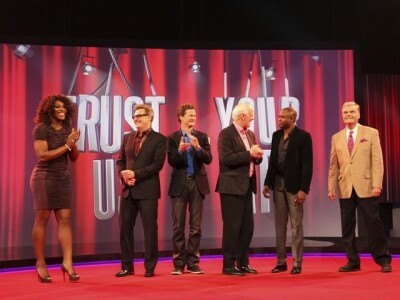 Performers include: Fred Willard, Wayne Brady, Colin Mochrie, Jonathan Mangum, Brad Sherwood, Greg Proops, Nicole Parker, Craig Cackowski, Josie Lawrence and David Armand. This improvisation TV show comes from the creators of Whose Line Is It Anyway? and Mock the Week. 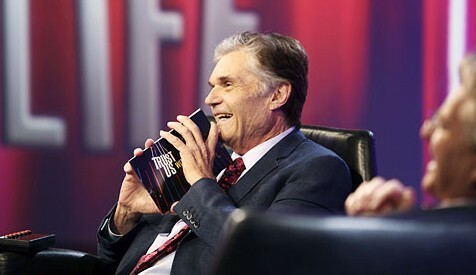 Host Fred Willard is joined by renowned improvisers Wayne Brady, Colin Mochrie, and Jonathan Mangum, as well as guest comics like Brad Sherwood, Greg Proops, Nicole Parker, Craig Cackowski, Josie Lawrence and David Armand. The series features various celebrity guests reminiscing with Willard about key episodes in their lives. Then, the show’s improvisers act out those moments for the celebrity, studio audience, and viewers at home. The key moments are improvised as straight comedy or in game formats, such as forward/rewind and sideways scenes. The tone of the show is friendly and funny rather than scurrilous or hard hitting. Guest celebrities include David Hasselhoff, Ricky Gervais, Jerry Springer, Florence Henderson, Jack & Kelly Osbourne, Jane Seymour, Serena Williams, and Mark Cuban. Colin Mochrie, Josie Lawrence, Jonathan Mangum, and Wayne Brady recreate moments from the life of actress Jane Seymour. First aired: (did not air in the US). What do you think? Do you like the Trust Us With Your Life TV show? Do you think it should have been cancelled or renewed for a third season? I love the new show Trust Us With Your Life! Wayne and Colin are still great just like Whose Line Is It Anyway. Please bring the show back another season. It seems like old times on tv with the new show compared to Whose Line. We just love it. Also you need to bring as a guest on Drew Carey.